More book posts! Back to the Classics 2018 is in the books. Time to pick fresh titles for the new year. I had fun photographing my beauties. I wanted to take the pictures in my backyard, on the grass and by the stack of wood, but it started to rain, and I took them on the covered patio table. 1.19th Century Classic. THE SPENDTHRIFTS, BY GALDOS, 1884. Why? Cause Galdós is my favorite author. (There’s English readers who are enthusiasts of Galdós). or The House of Ulloa, by Emilia Pardo Bazán, 1886. Bazán had an extramarital affair with Galdós. She’s considered Spanish first naturalist novelist, (influenced by Emile Zola.) Like many of the books I’ve chosen this year, I started reading this one, loved it, but stopped reading it for a forgotten reason. 2. 20th Century Classic. The Illustrated Man, Bradbury, 1951. Why? Cause Bradbury is yet another of my favorite authors. This is a collection of stories, but I’m reading them all, and it has 292 pages. I know it’s within the rules. Classic by a Woman Author. Gaudy Night. Dorothy Sayers, 1935. Karen reminded me of this classic I’ve been wanting to read for a while. Don’t you love my copy? Classic Comic Novel. The Baron in the Trees, Italo Calvino, 1957. Another one I started, loved, and left. I was going to pick Monsignor Quixote, but it was published in 1982. Classic Tragic Novel. Ethan Frome, Edith Wharton, 1911. This is a title I want to read together with Kim. Very Long Classic. Swam’s Way, Proust, 1913. Swam’s Way is only volume one of the 7 volumes that compose In Search of Lost Time, yet my copy comes in two parts, part I is 223 pages, and part II alone 502 pages. I hope this is accepted as a long classic. Classic Novella. The Death of Ivan Ilych, Tolstoy, 1886. Another book I’m reading with Kim. 9. Classic From the Americas (includes the Caribbean). One Hundred Years of Solitude, Gabriel García Márquez, 1967. I want to re-read a classic I loved in my youth and see how it feels like. 10. Classic From Africa, Asia, or Oceania (includes Australia). Cry, The Beloved Country, Alan Paton, 1948. I need your help. I need someone who tells me they’ve loved the book. This is the only book I fear I’m going to dislike. We’ll see. 12. Classic Play. The Frogs, Euripides, 405 BC. I may end up reading a couple other plays. My copy has ten of his plays. I believe this sums it up for today. I’m looking forward to another year of the challenge. Thanks, Karen, for hosting it once more. I’ll also be reading Cry the Beloved Country as a classic from Africa. I’ve wondered about it almost since I started wondering about books. (It was on my parents’ shelves.) I’m reading The Jungle in the Americas category. That’s the one I don’t expect to like! But in both those categories I’ve listed two books. I added Kim (from India) and Giants in the Earth (about another aspect of US immigrant experience). From your list I’ve read Gaudy Night, Ethan Frome, and The Frogs. My list should be up soon. Looking forward to your list, and thanks for the comment. Let’s see how Cry TBC goes for us. I have Giants in the Earth, and want to read Sinclair at some point. I am excited about the challenge and meeting new people. Thanks for the reassurance. I don’t mind strangely structured novels. We will see. I hope it’s not a bore, (I am sure it won’t be), I understand your hesitation to participate in next year’s challenge. I will enjoy your recap, matter when that is. Oh Silvia! Cry the Beloved Country is one of my favorite books of all time! Now I’m not nearly as well read as you are and haven’t as much “experience” with literature… but I think I can say categorically that this book will capture you. I have both read it and listened to it as an audio book. You might find listening better than reading due to the African names and places.Thinking about it even now makes me want to read it again! You will not be sorry! It’s the story of love and forgiveness and the consequences of choices and it will touch your heart! Guaranteed! Yay! Now I am 💯% sure I will enjoy it. Thanks for the comment. I am now looking forward to it and not dreading it anymore. 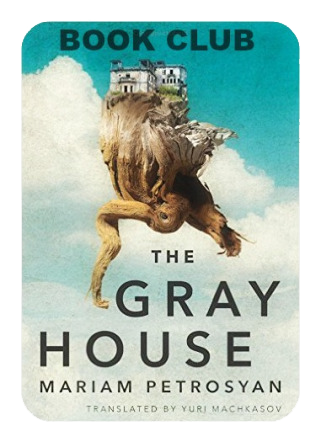 Loved Cry the Beloved Country, Gaudy Night & Ethan Frome. What a great list! You also love Cry the Beloved Country, and Ethan Frome. Good to know. Gaudy Night seems to be a favorite. I think I have good titles. I can’t wait to start the challenge. I love the way you posted your challenge! So original! I really enjoy reading the Greek playwrights! I don’t have Sayers on my challenge but I’m going to try to read at least one of her novels this year; I’ve read a few of her theological books and have loved them. I love her book The Mind of the Maker. I hope you enjoy her novels. I have enjoyed the ones I have read. She gives you a slice of Britain at a time that is gone. There’s something captivating and satisfying in her mysteries. They have more bite to them than Christie, but I don’t want to compare them, I enjoy both of them. That looks like a delightful reading list. There are so many that I haven’t read (and a few I haven’t even heard of), but you have some old friends on there, too. Ivan Ilytch is a story I have read over and over again. It’s haunting, in many of the best ways. Each time I read it, I can hardly talk about it; it just percolates through my brain and into my heart every time. I read all the Peter Wimsey novels and The Lost Tools of Learning in 2017, and Sayers and O’Connor were battling like gladiators over who was going to take home my Favorite New Author This Year Title. O’Connor did edge Sayers out, but Gaudy Night almost changed my mind. I hope you love it! Sarah. I can’t wait to visit you in May and talk books. Ilytch is my next destination, after Slaughter House Five that I am currently reading. I have read some O’Connor, but as with Sayers, I can’t wait to read more of both. I also hope to love Gaudy Night, -I am pretty sure that I will. Do you have a list of the books you read in 2018?, and your 2019? Most of these I’ve never seen before. I’ll be interested to see what you think! Silvia: When I read your list a couple of days ago, I forgot to leave a comment about your very interesting list! You really do have some wonderful books listed there! It’s been many years since I first read it, but I absolutely loved Gaudy Night; it’s easily my favorite of all of Sayer’s novels. I also loved Swann’s Way, when I finally read it. Proust was one of my personal challenges a few years ago — I had the books for years and they were doing nothing but gethering dust; I finally decided I had to at least give Swann a try! I warn you, if the mood is right you might get hooked (after I finished Swann, I spent a big part of the next year reading Proust!). I noticed your fondness for Galdos, an author about whom I know absolutely nothing. Is there a particular book you’d recommend as a good starting point for him? 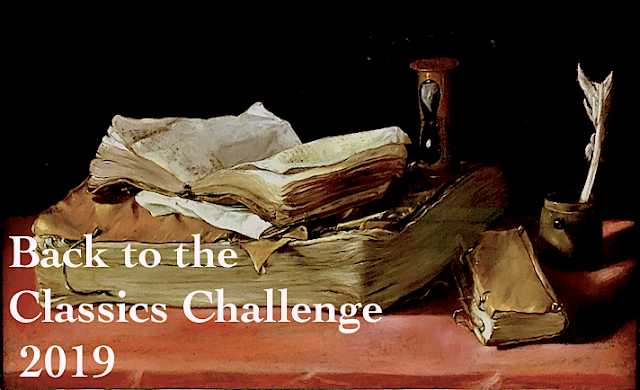 I was attracted to the Classic Challenge in part because of the chance to explore some new categories such Latin American authors; I’m afraid I’m too intimadated right now by Márquez (he’s another personal challenge for me!). Is there anyone besides Galdos you’d recommend? Thanks, I was very intrigued by your list. I appreciate your comments on some of my picks. Another blogger asked me for Spanish authors and book recommendations, and your question just prompted me to write a post on Spanish lit picks for you guys. (Warning, almost everything is going to be at least XXth century. I am a bit lost when it comes to contemporary lit in any language. There it is again…100 Years of Solitude keeps popping up. That’s good…it’s a fascinating read. Enjoy! You need someone who loved Cry, the Beloved Country? Pick me! I loved it! It is incredibly beautiful, hard, Christ-filled, human-filled, and suffering filled. I have an entire Evernote note filled with quotes from when I read it. It was one of the best books I read a couple years ago. Yay! I bet that it may end up as the best book in the challenge! great! 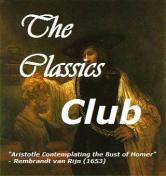 I have done this challenge in the past, but have now decided to streamline by challenges, and just stick to the Classics Club. One Hundred Years of Solitude is fantastic, but I highly recommend you first go online and print a genealogy of the characters before you start reading, as so many across the generations have the same name. Doing this helped me a lot follow the book. I really want to read Love in the Time of Cholera. Don’t be ashamed, lol, but mend it, hahaha.